mathematics Related Most Question With Answer Set 134 Current Affairs, Aptitude And Join the best Online Test Series & get all India Rank, Logical Match. Logical Problems · Number Series · mathematics and iLCM & HCF, important Question & Answer with solution & Formulas in Hindi & English And Important Questions with Answers to Numerical Ability asked in Gramin Bank Office Assistant Exam And These all questions will very helpful to you for the forthcoming Bank exams, SSC CPO SI Delhi Police and Rajasthan Police and All Competitive Examination. 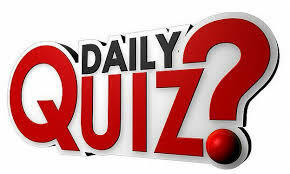 Question(1) Abhishek was born on Sunday, March 20, 1992, in which day was his age of 5 years 2 months and 16 days? अभिषेक का जन्म रविवार 20 मार्च ,1992 को हुआ था ,हफ्ते के किस दिन में उसकी आयु 5 वर्ष 2 महीने तथा 16 दिन की थी ? Question(2) If a day is August 25 in a year, then how many Monday will be in that month? यदि एक वर्ष में 25 अगस्त का दिन गुरूवार हो तो उस महीने में कुल कितने सोमवार होंगे ? Question(3) Jyoti is aware that her brother’s birthday is 17th after the date but before 21st February, but his brother is aware that his birthday is before 19th of February 24th, on which day is his birthday? ज्योति को ध्यान है कि उसके भाई का जन्मदिन 17 तारीक के बाद परन्तु 21 फ़रवरी के पहले है , परन्तु उसके भाई को यह ध्यान है कि उसका जन्मदिवस 19 के बाद आर 24 फ़रवरी से पहले है उसका जन्मदिवस किस दिन है ? Question(4) Manish was born on March 3, 1980, Sanjeev was born 4 days before Manish, if that day of Republic Day falls on Saturday, Sanjeev’s birthday was on which day? मनीष 3 मार्च ,1980 को पैदा हुआ था ,संजीव ,मनीष से 4 दिन पहले पैदा हुआ था ,यदि उस वर्ष गणतंत्र दिवस शनिवार को पड़ा हो तो संजीव का जन्म दिवस किस दिन हुआ ? Question(5) Abhishek was born on Sunday, March 20, 1992, in which day was his age of 5 years 2 months and 16 days?